The High-Output Shower Filter (HO) contains a reversible filter cartridge that will filterer the shower water for one year. This high performance shower filter combines easy operation and maintenance with the ultimate in structural integrity and over-all reliability. 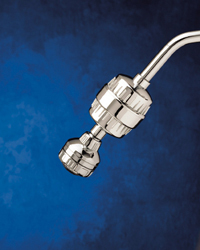 The HO is the strongest replaceable shower filter available on the market today.